Truck stops are among the most prominent symbols of American life. It may take some looking to get beyond the plentiful fast food and convenient store options, there are some real food treasures out there that you’d never expect to stumble upon. We’ve done the work for you and scoured every US state to find good eats when you’re rolling down the highway and it’s time to refuel your tank. Halfway between Mobile, Alabama and Pensacola, Florida, take exit 53 on I-10 to The Oasis Travel Center. 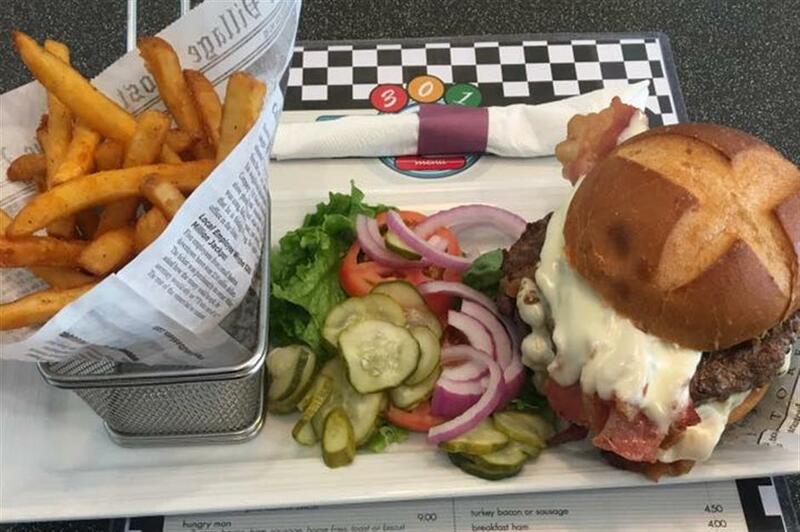 There are a few unexciting eating options here – such as Subway or Chester’s Chicken – so you’d be a fool to skip the Derailed Diner. 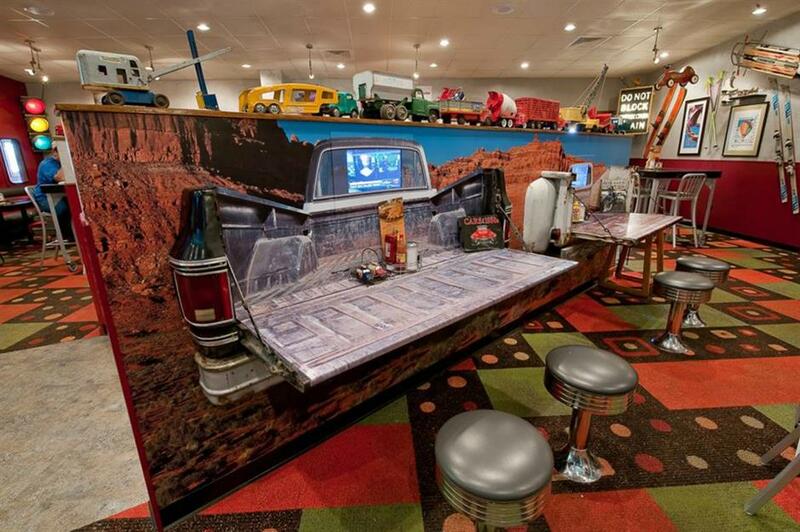 With its truck-themed interior and old-school gas station memorabilia, you’ll never feel as if you’re off-road. Apart from the diner classics, there’s a variety of baskets available from the starter-sized Railroad Basket with fried mushrooms and green beans, mozzarella sticks and onion straws to Hobo Baskets – beef steak, baby carrots, red potatoes, corn on the cob, onions and celery all slow roasted in tin foil. The stop is also famed for their flip-flop fudge, available in almost 50 whopping flavours. 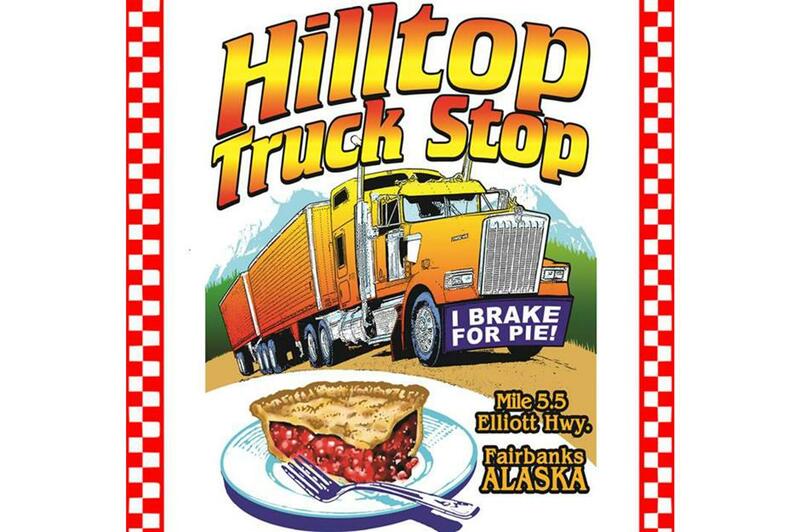 Truckers in need of warmth in their belly while ploughing through snowy Alaska will be pleased to encounter Hilltop Truck Stop. 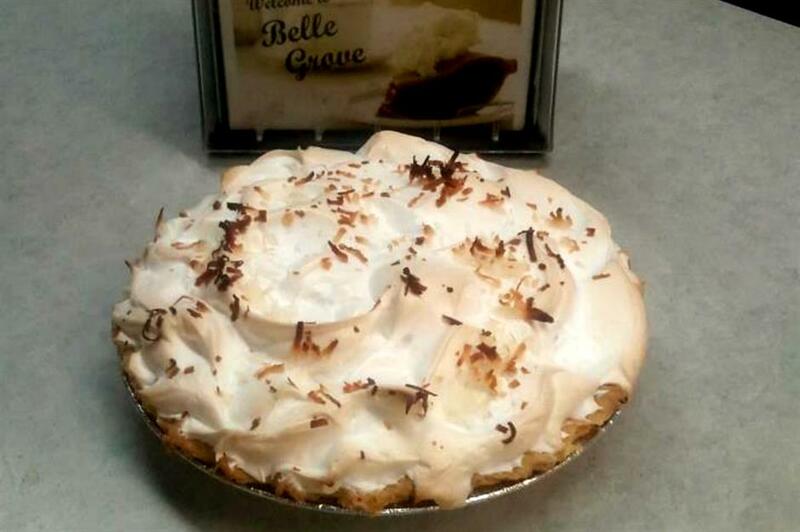 Known for their decadent desserts, many a pie is raved about here, including coconut cream and peanut butter. Don’t be shy of ordering the ‘Fatman’, either – it’s another firm favourite among local drivers. Their savoury menu includes an all-day breakfast as well as especially unusual options like a fried halibut sandwich, but we definitely recommend a break for pie! 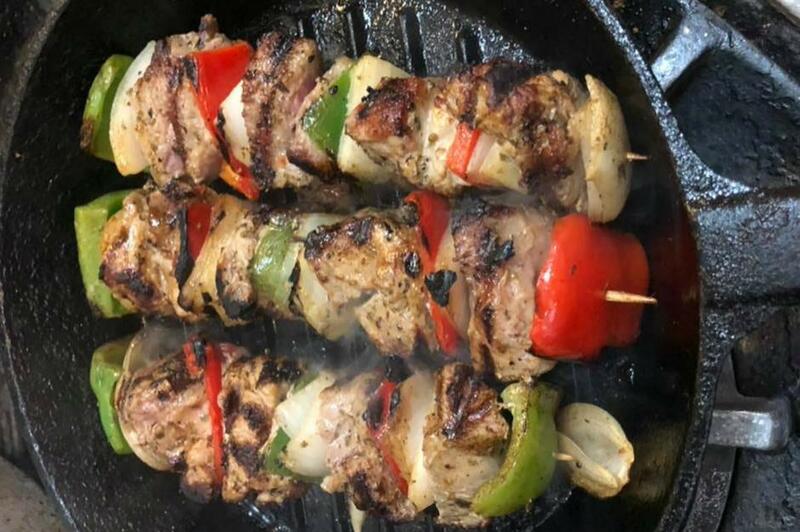 Tucson Truck Terminal – or Triple T as it’s known to truckers – is an essential port-of-call because of the highway eatery Omar’s Hi-Way Chef. 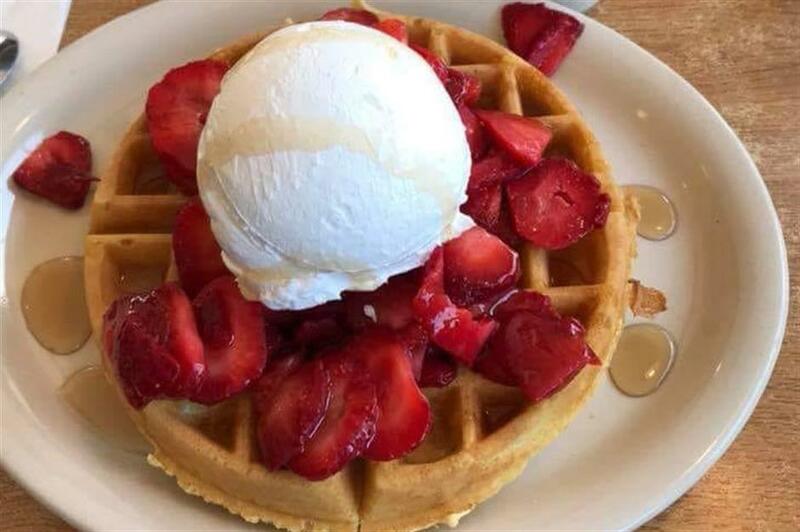 With a kitchen manned by acclaimed chef Omar Ramirez, it’s earned a number of accolades including second place on Food Network’s top truck stops in the country and best breakfast in Tucson by readers of the local newspaper. These breakfasts – described by Omar as ‘over-portioned’ – include the notorious I-10 Belly Buster (three eggs, two strips of bacon, two sausage patties, two pancakes and grilled ham). The stop is also the home of the deep dish apple pie (pictured), served piping hot and mounded with soft-serve ice cream. If apple doesn’t do it for you, their menu also features the much-less-famous cherry and peach options. Out in the Arkansas boonies, Workman’s Travel Center is a welcomed rest stop. When eating at the complex’s Hillbilly Hideout, don’t be alarmed to find unusual – and very hillbilly – pies: possum, squirrel and racoon. Some may call it roadkill, others bake it in pastry and gravy. To each their own! Luckily, the more squeamish of us will be forgiven for avoiding the pies in favour of pizza, Philly cheese sloppies and good old regular burgers (pictured). Claiming to supply the best chicken fried steaks (pictured) on Highway 101, Wildhorse Cafe on the outskirts of King City serves Southern sustenance for when trucking on the West Coast. Punters can tuck into chilli verde omelettes and hot biscuits and gravy in the AM, but don’t just stop by in the morning. Their post-breakfast menu is decidedly Californian, with many dishes being offered alongside super-fresh avocado supplements. If you haven’t had an avocado burger before, here may be the place to try it! 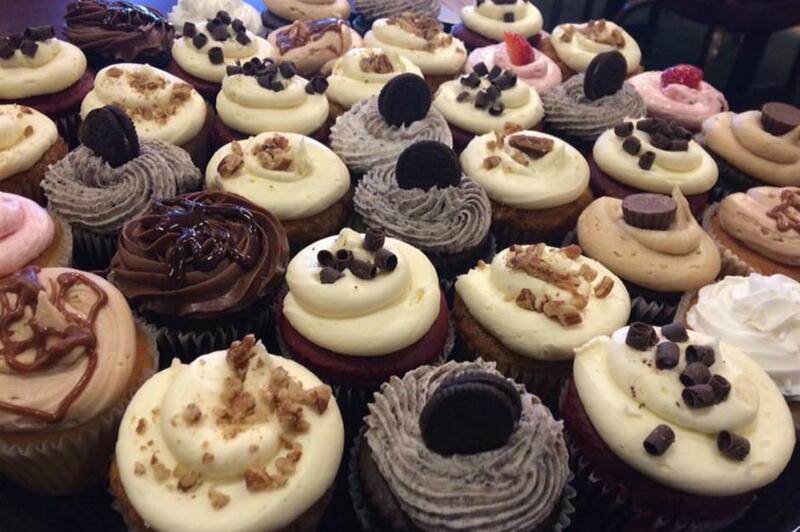 While traversing the Centennial State, satisfy your sweet treat cravings at Johnson’s Corner on the I-25. They claim their cinnamon rolls are world famous, and it’s no wonder people come screeching off the interstate to snack on them. Fluffy and dripping with sugary icing, they’re the ideal pick-me-up for a long-haul journey. Among other baked batters, you can upgrade your doughnuts and apple fritters to a gigantic jumbo size – perfect for sharing or particularly hungry tummies. 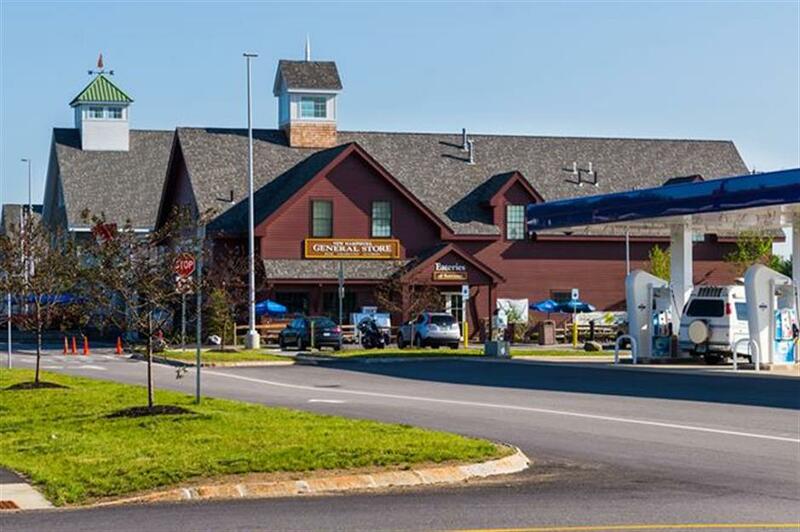 Connecticut is thin on the ground for great truck stop eats but offers great food aplenty just off the interstate. Our top choice is Magee’s Curbside: we can’t get enough of their frosting-dusted waffles, and what about this breakfast sarnie with fried egg, avocado and candied bacon (pictured)? 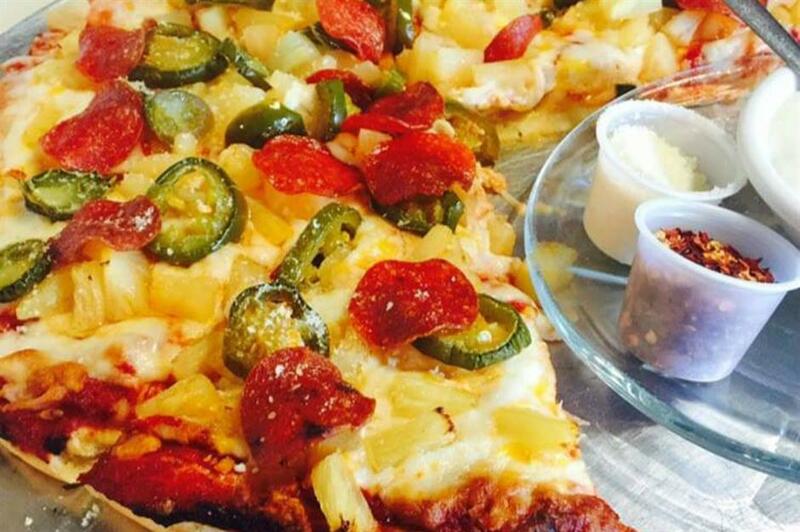 Call ahead for near-drive thru speed with double the deliciousness. Upon entering Delaware through Maryland, the main road that’ll take you through the First State will direct you to 301 Plaza Restaurant. Peckish truckers may be interested in surveying the sights at the tiki-themed buffet or want to a bite of one of their burgers (pictured). For more up-market options, there are less-common meats and fish like veal and flounder, else the very herby shrimp linguine comes with high praise. If all else fails, take a plate (or four) of their bottomless spaghetti and meatballs. Naturally, the wildest place to pull up your truck in Florida is just north of Miami, on the periphery of the Everglades. Not only is Cafe 27 a popular truck spot, but it’s also a meeting place for petrolheads and motorbike enthusiasts. The menu may shock squeamish eaters who aren’t used to Southern delicacies: start off your meal by grazing on some gator bites or "dolphin" fingers (mahi mahi is a type of dolphinfish, not to be confused with actual dolphin), before tucking into their Mahi sandwich – fresh "dolphin" served grilled, blackened or fried. For diners who wish to avoid eating our flippered friends, try something from their Latin corner instead. Stay by night, too, where Cafe 27 transforms into a bar with punk and metal bands rocking out until the early hours of the morning. On the way into Alabama from Atlanta and getting that country craving? Newborn Truck Stop’s bumper buffet has got you covered. Ignore the salad bar – you’re here to feast! There’s fried chicken by the bucket load, fried green tomatoes, cream corn, hot bread rolls, green beans, tender roast beef and all the Southern trimmings. Stop by on the right day and Newborn Truck Stop offers hotdogs for as little as 50 cents – the ideal antidote for a few hundred miles of road ahead. Due to the size of the state and its distance from the mainland, Hawaii doesn’t have a huge trucking community, however, this blink-and-you’ll-miss-it service station serves up a slice of paradisiacal island cuisine to journey-makers despite the lack of interstates. Ring the bell at the dinky D & E Fuel Good Stop and place your order. Mull over the smoke ribs, or decide on pulled pork lathered in the freshest rosemary herbs. If chicken’s your game, you have to have the adobo or shoyu, draped with sticky sauces. If you thought it couldn’t get any better, all mains are served with a generous portion of white rice. Finish off with another course, replenishing your palate with an ice-cold frozen yoghurt. Boise Stage Stop is, surprisingly, one of the oldest ongoing businesses in Idaho (obviously they hosted stagecoaches well before they hosted trucks!). Opening for trade in 1891, it has only gotten bigger and better in over 100 years of its history and was voted the second best truck stop in the US by drivers. 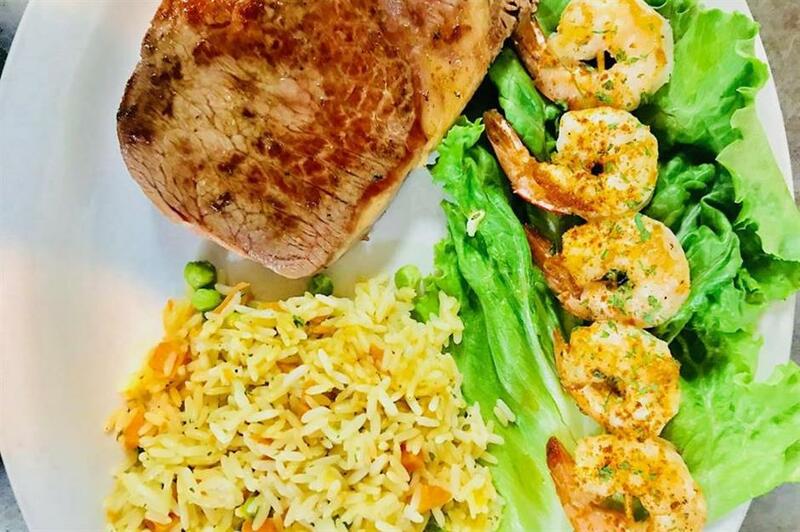 There are a variety of cuisines on offer including Mexican, classic American and Italian, but Boise Stage Stop has an overpowering reputation as a fantastic steakhouse. The attraction here is the range of both affordable and premium cuts of meat, as well as surf and turf options – you can even have a t-bone for breakfast! 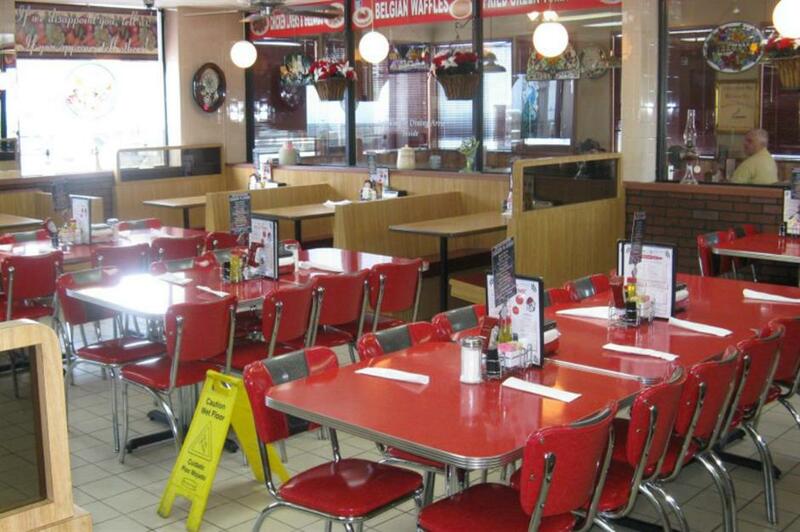 Open 24/7, R-Place Family Eatery has become a must-visit for those travelling around the Chicago area. Their breakfasts, lunches and dinners are first-rate but their bakery is much more impressive. Everything is made from scratch and they bake just about everything under the sun: pastries, brownies, cupcakes (pictured), cookies, croissants, pies, breads, cakes, buns, cobblers and more. If you haven’t eaten yourself into a coma yet and there’s still room for more, try their Ethel Burger challenge and see if you can stomach a four-pound burger in under an hour – the standing record is seven minutes! 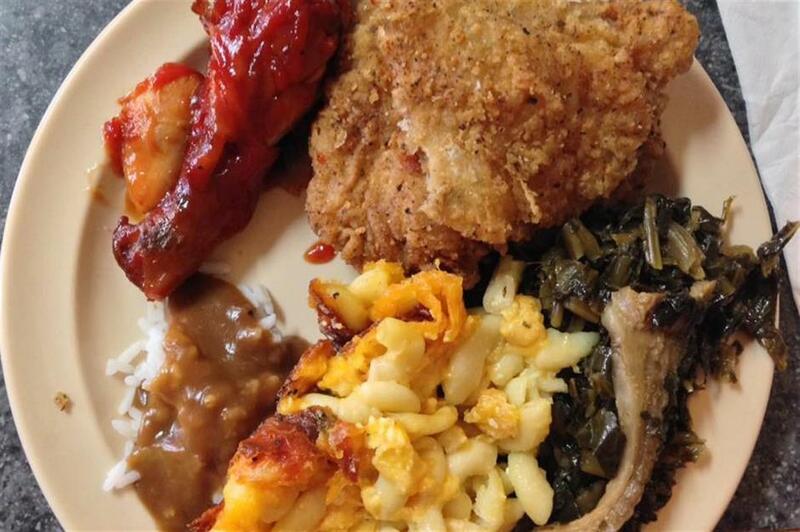 If you’re seeking the homeliness of comfort food when on Highway 70 between Indianapolis and Columbus, you’ll feel like you’re back in grandma’s kitchen at Gas Grill Family Restaurant. Here you’ll find super-cheap and extremely heart-warming foods like mashed potatoes, onion rings, white beans and ribeye sandwiches. 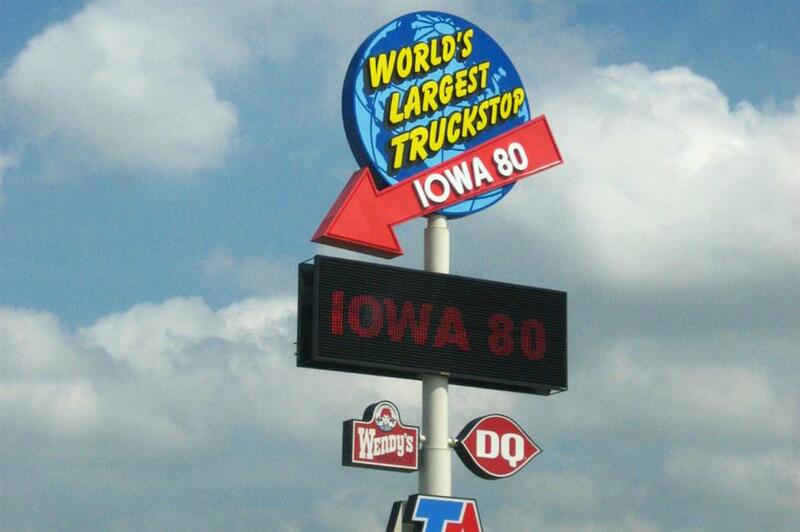 Encompassing a mind-boggling 100,000 sq ft of space, Iowa 80 is the world’s largest truck stop; no wonder it’s often thought of as a trucker’s Disneyland! 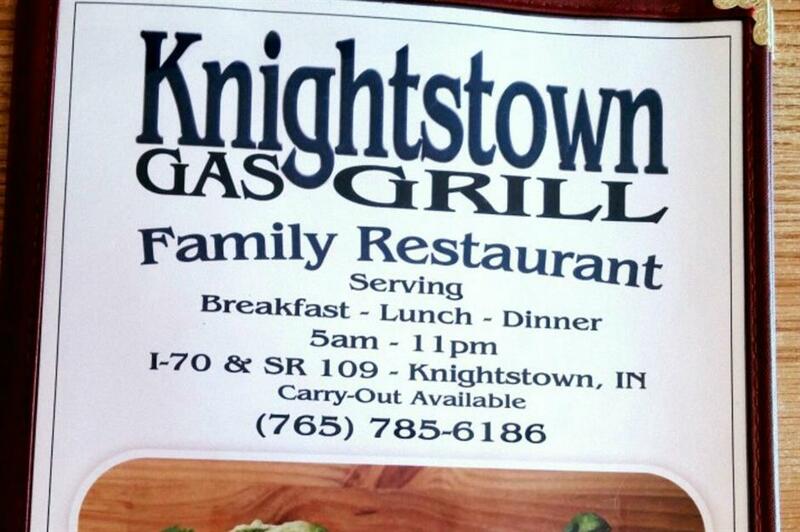 There are many fast food joints here, but make a beeline straight to Iowa 80 Kitchen instead. Seating over 300 people at a time, it has a 24/7 a la carte menu (including an around the clock breakfast) and a buffet that lasts most of the day. Be sure to make your way around the 50 foot long salad bar before you’ve stuffed yourself into oblivion! 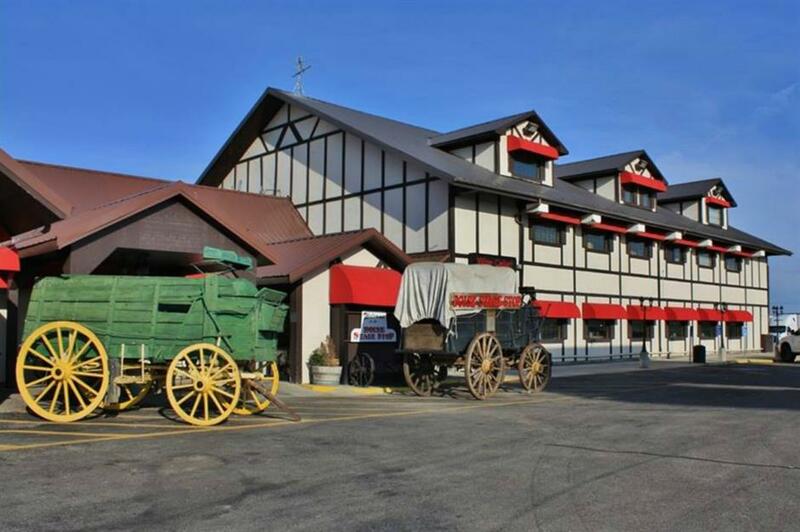 It’s not just truckers who love Russell’s Restaurant – locals from all over Salina come and dine here as they claim it has the best chicken fried steak in the country. Adding to its appeal, the atmosphere is low-key and carries a certain air of country rusticism. Besides the renowned chicken, you can also find Midwest comforts like fried liver and gizzards or British staples like fish and chips for travellers from across the pond. Not to be associated with the English capital, London Auto Truck Center is rooted down in the Bluegrass State. 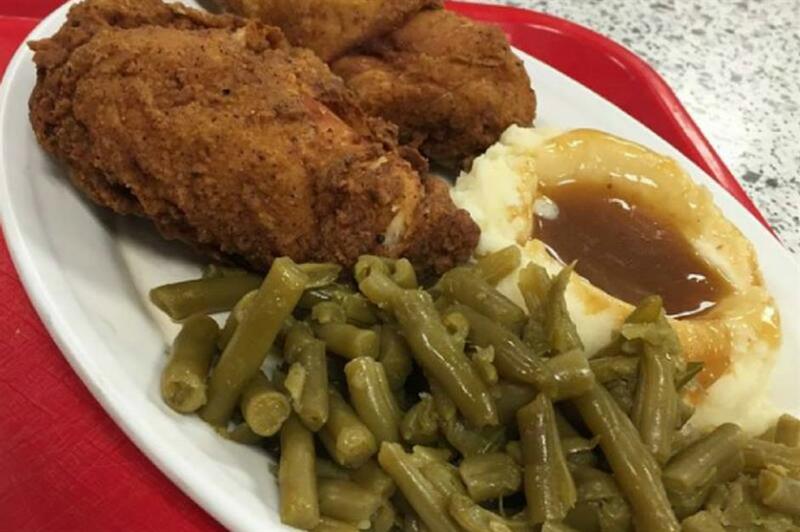 This particular roadside abode has an emphasis on home cooking and other signature cuisines Kentucky is famed for – fried chicken (pictured), anyone? Fear not, fans of loaded nachos and stir-frys will also find blissful contentment here. With restless truckers in mind, you can also pick up something for later at the takeaway buffet or choose from among their grab-n-go cases of food. Frog City Travel Plaza in Rayne, Louisiana is named after the area’s affinity with amphibians – apparently, the city is the frog capital of the world! Cajun fare is mainly on the menu, and visitors are encouraged to try local eats like gumbo (pictured), crawfish étouffée and red beans and sausages. You don’t have to be in France to try frog’s legs, either: they’re served at Frog City alongside regular beef patties and unconventional options like toad and alligator burgers. Open 24/7, there’s also a casino within the complex for you to try your luck at. Who knows, maybe you’ll win back your meal’s worth and more! A bragging point for Bangor, Maine is their scenic city is the hometown of legendary novelist Stephen King. Before you see the spooky sights which inspired his best-sellers, stop by Dysart’s, the truck stop rated the second best restaurant in Bangor. The restaurant’s fodder is heavily seafood and Canadian orientated due to the city’s proximity to the ocean and the USA’s northern cousin. Popular orders include lobster rolls, salmon and scallops baked in butter and maple syrup and poutine – a quintessentially Quebec dish – as well as New England classics like chicken pot pie (pictured). Before you cross the Maryland border into Pennsylvania, ensure you make a pit stop at Belle Grove Grocery, an unassuming cottage at a mountainside truck stop. Rotating specials keep their menu evergreen, and you can expect to see simple yet delicious meals like lasagne and chicken salad sandwiches prepared before your eyes. Their homemade pies are particularly sumptuous, so fans of coconut cream (pictured) beware: you’ll almost certainly be tempted by a slice if not the entire thing. Among the greenery of New England, Brody’s Diner is an unpretentious dining spot offering humongous stacks of buttermilk pancakes and regional dishes like Boston clam chowder. The casual cosiness of the eatery has even attracted celebrity patrons: it was visited by Jerry Seinfeld and Aziz Ansari in an episode of the former’s web comedy series Comedians in Cars Getting Coffee. In a follow-up Yelp review, Seinfeld described the coffee mugs as ‘big enough to wash your feet in’, just in case the ability to bathe in your java is a primary requirement. 76th Street Truck Stop Diner resides just 10 miles south of the centre of Grand Rapids, Michigan and is a haven for truck drivers who come from all over the country to clog their arteries with yummy junk food. 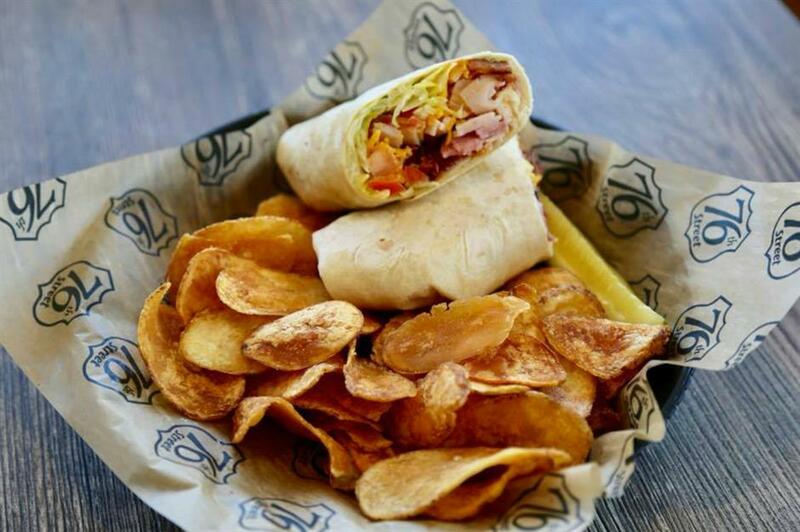 All the diner’s burgers, sandwiches and wraps come with your choice of fries or incredible homemade potato chips (pictured). How does the Big Mother Trucker – two half-pound patties, three slices of bread, cheddar, Monterey Jack, horsey sauce and the veg – sound for a heart attack on a platter? Else, come when the sun rises, and you can build your own skillet. Clearwater, Minnesota’s signature bakery is right here in the town’s truck stop. Highlights at Nelson Bros. include doughnuts ‘the size of your head’ and their famous fritter bread available in six heavenly flavours. The attached restaurant’s menu goes on for miles but incorporates freshly baked goods from the bakery into its sit-down meals. You can find unique Nelson Bros. confectionary in their meatloaf and artisan bread, pizza dough and biscuits and gravy. Most excitingly is Nelson Bros’ world-famous fritter bread french toast, one variety of which comes fit for a unicorn; rainbow blended, dipped in special batter and finished with a creamy frosting. There’s even a Nelson Bros. pub in the truck stop – but we wouldn’t recommend visiting if you’re operating heavy machinery! Crazy K’s Food & Fuel is the self-proclaimed ‘Dive on 45’ on the route towards the beautiful beaches of Mississippi, Alabama and Florida. From the brisket to the hushpuppies, everything is piping hot and acts as excellent preparation for the long highways ahead. Amazingly, the staff are even known to bring food to passengers who have broken down on the surrounding roads – how’s that for Southern hospitality! 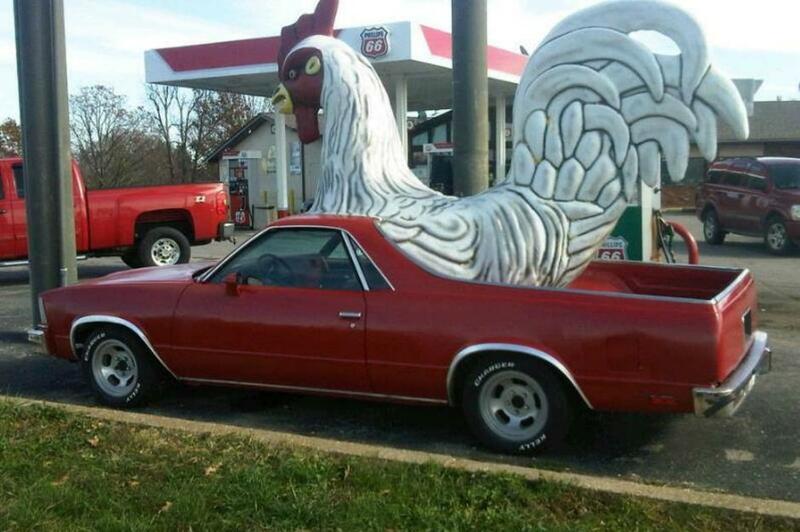 If you’re driving down Route 66 from St. Louis to Springfield, take a left at the giant chicken. Yes, at the giant chicken take a left and you’ll meet some great truck stop eats at Cookin from Scratch. Obviously the staple cuisine is fried chicken (there are several other chicken statues throughout the joint as well, making for the perfect photo opportunity), but there are prime ribs and overflowing amounts of fries to tuck into, too. 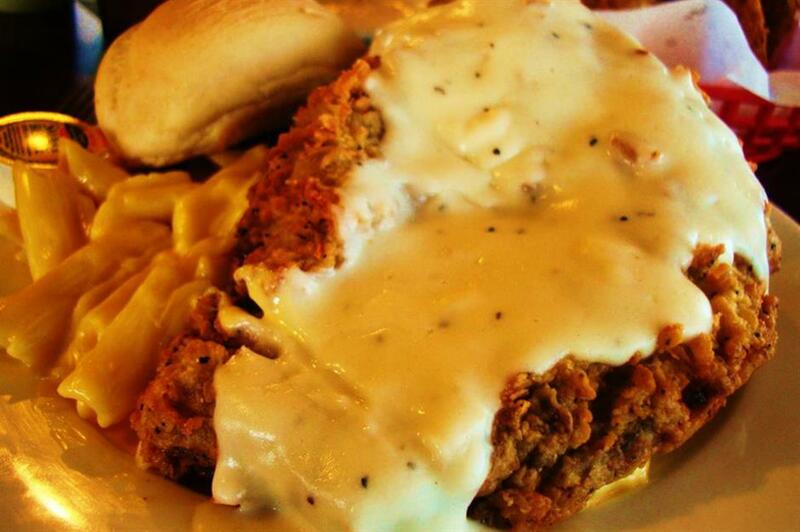 Your plate will be piled high, but it’s so finger-lickin’ good that you won’t want to let a crumb go to waste. 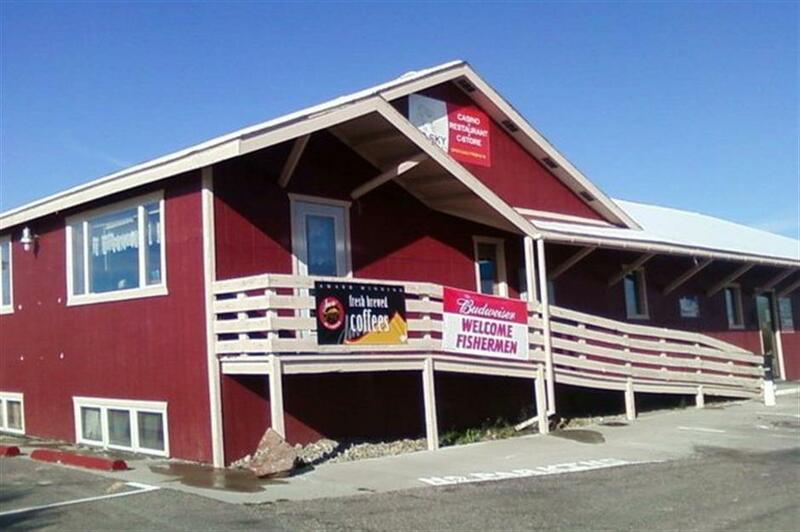 In between the Yellowstone and Nez-Perce Clearwater national forests, satisfy your hunger pangs at Big Sky Travel Plaza. Tucking into meatloaf and roast beef while perching inside one of the glossy dark wood booths will make you feel you’re in an authentic wood cabin. After giving the slot machines a whirl, step out onto the concrete plaza and have your breath taken away when you see how the arresting mountain ranges on the horizon rise up against the blue sky. 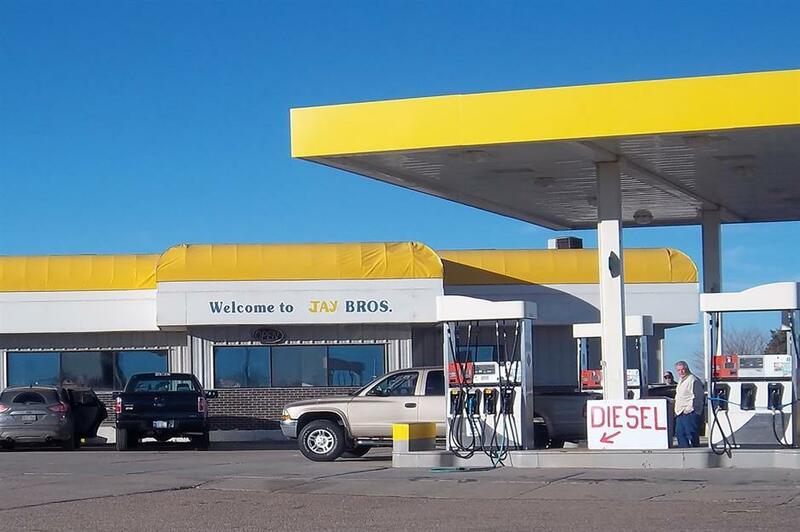 Jay Bros. Truck Stop is not your typical pit-spot. While most roadside dives are more inclined to serving American eats, this particular truck spot is considered to be one of the best restaurants in the Cornhusker State. Best of all, it has an entirely Indian menu and will bring an authentic touch of southwestern Asia to your road trip. Dive into Jay Bros’ soul-satisfying curries, piquant biryanis and buoyant naans: this is a truly original foodie experience you’re unlikely to find anywhere else. Within Las Vegas city limits on the way to the strip, Maverick Truck Stop and Cafe is your typical greasy spoon. Like Sin City itself, everything available for order is larger-than-life, from footlong hotdogs and mammoth-sed burgers. Step up to the plate and complete the Maverick Burger Challenge – if you can devour a burger weighing 1 pound and a plus-sized portion of fries or tater tots, they’ll put your name up on the hall of fame. Alternatively, the breakfast burger (pictured) is equally as good but not nearly as gluttonous. The Common Man Roadside North is a multiplex combining a general store, tourist information centre, gas pumps and four different eateries. The Hi-Way Diner is a kitsch, 50s-inspired joint with outstanding veggie options (a rare find on the road). For something sweeter, the Café & Bakery offers local coffee alongside creamy and chocolatey treats. Alternatively, you can pick up one of their fast food options, but no fear health-conscious truckers! All their takeaway meals are made from the freshest ingredients and have the option of adding salads and smoothies. 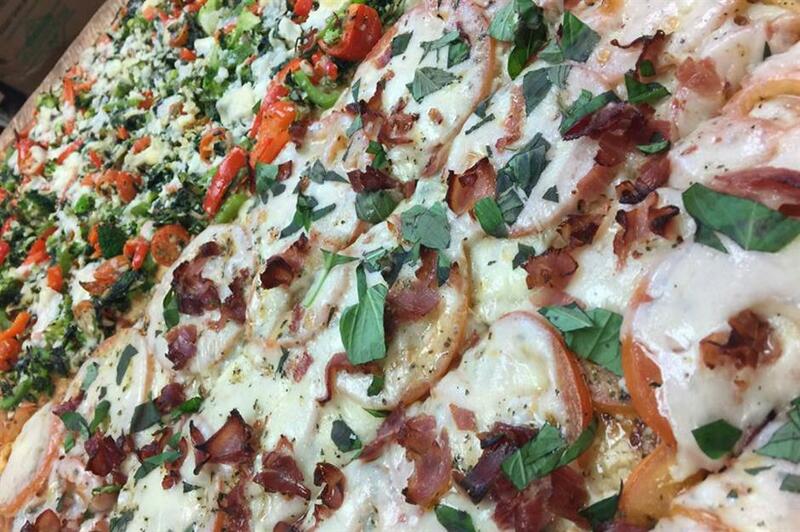 Finally, the Italian Farmhouse offers made-to-order pizzas, steaming out of the oven either by the slice or the pie. The only downside of stopping here? You’ll be spoilt for choice. For the abundance of traditional American eating establishments in New Jersey, the Garden State should really have been nicknamed the Diner State. Part of the New Jersey Truck Stop and just across the river from Manhattan, Truck Stop Diner is one of these great NJ canteens. You’ll get exactly what you expect here, and that’s the beauty of it. 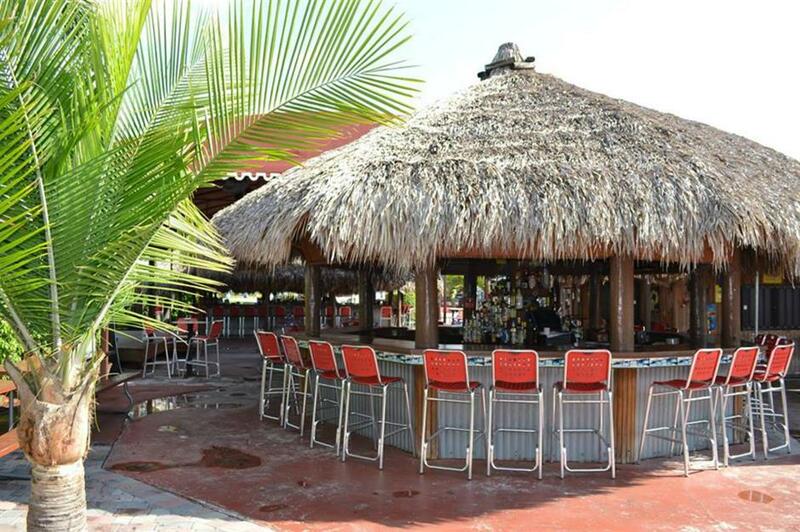 Their menu stretches eight pages, so you’ll never be shy of options. Recently U2 stopped there for a bite; we wonder if Bono had the Monte Cristo French Toastwich or the Pork Kebabs (pictured)! On the cusp of New Mexico and Texas, Russell’s Travel Center offers truckers a historic Route 66 experience. While there are plenty of bog-standard burgers on offer, the diner has a real Tex-Mex flair; their quesadillas are utterly oozing with cheese and their burritos have mastered the right level of spices. Park up your pooch at the dog park then stroll around their classic car museum (free entry – bonus!) to see some old-school American beauties in the flesh. For a breakfast bowl that starts your early morning right, Mapleview Family Restaurant in Parish, New York will send you off ready for a day of trucking ahead. Homefries and eggs are a huge staple across the breadth of their breakfast options, cropping up all over the menu for a quick and filling fix of food. Arrive later in the day and be prepared to get messy for only 99 cents extra with their dip and flip burgers, soaked head-to-toe in a puddle of gravy. For a much lighter option, opt for grilled and baked meats and fish with a side of spicy rice and prawn skewers (pictured). 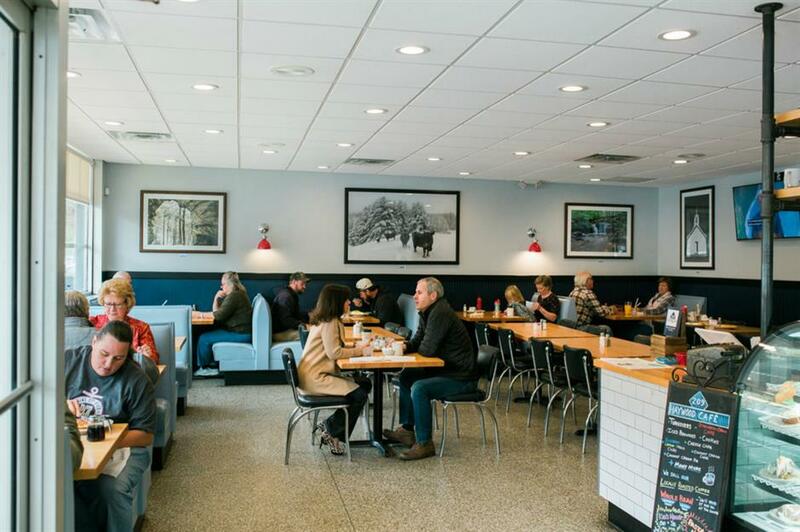 For an upmarket truck stop experience that’s still down-to-earth, Haywood 209 Cafe in Waynesville, North Carolina is known for their casual coolness. Their dishes are diner classics but with an added gourmet flair and very proudly served. Their in-house baker (known as Mawmaw) is on-hand to stuff you silly with her sweet treats, washed down with locally roasted own-brand coffee. Enjoy a hot cup of joe while dining at Haywood 209 Cafe or buy your own pack for home brewing made easy and delicious. 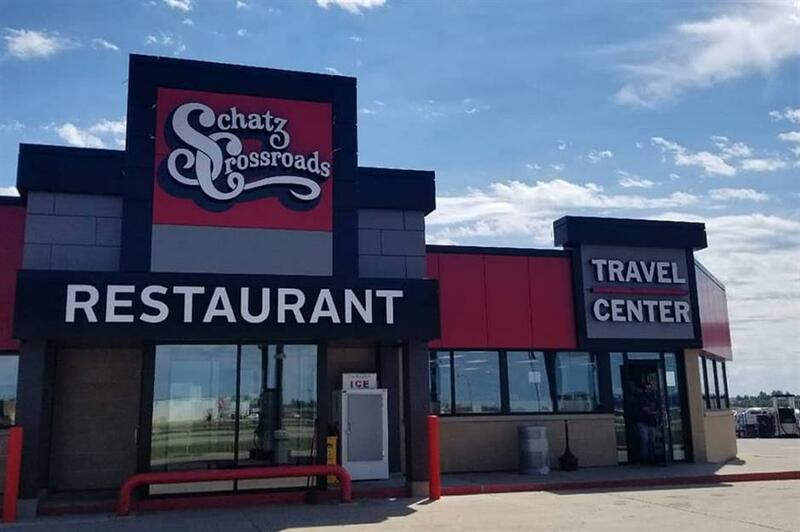 More than just a gas station breakfast, Schatz Crossroads in Minot, North Dakota will tie you over all the way into Canada. Known state-wide and beyond for its unmissable morning munch, it’s actually considered to be one of the best breakfast bars in the Peace Garden State. If bacon and eggs don’t tickle your fancy, try a pulled pork burger, mounded to perfection. Alternatively, browse the fridge-full of pies, checking out dozens of doughnuts and an array of cheesecakes as you do so. 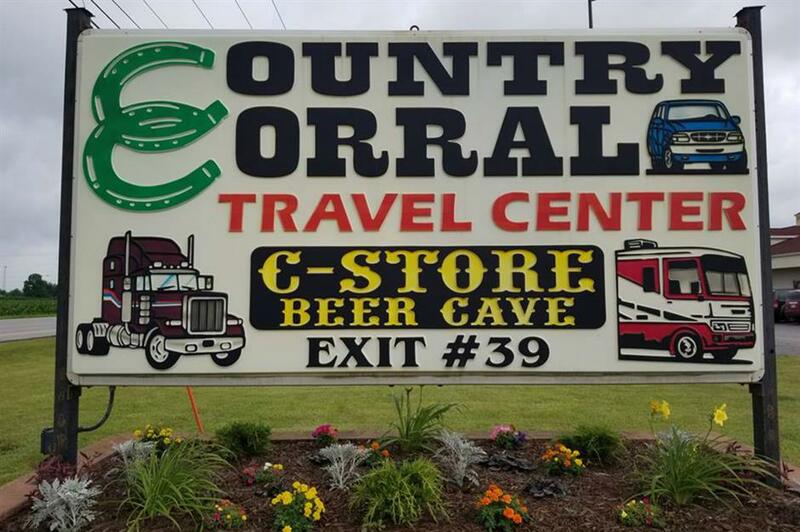 When hitting the roads of Northern Ohio, make sure to take advantage of Country Corral’s special trucker deals. Top up your vehicle with at least $20 of cash fuel and receive a free coffee or fountain soda as part of one of their fixed promotions. Before you leave in a hurry, top up your belly, too, and enjoy chicken tenders and BBQ ribs that’ll remain in the peripheral of your memory for the miles and miles of highways and interstates ahead. Lawton, Oklahoma’s favourite mom-and-pop shop, Leo & Ken’s has been family operated since 1963. Although you’re basically in the middle of nowhere out here in the Sooner State wilderness, the buffalo burgers (pictured) and cheesecakes are a winning combination, with the latter praised to be among the best guests have ever tried. 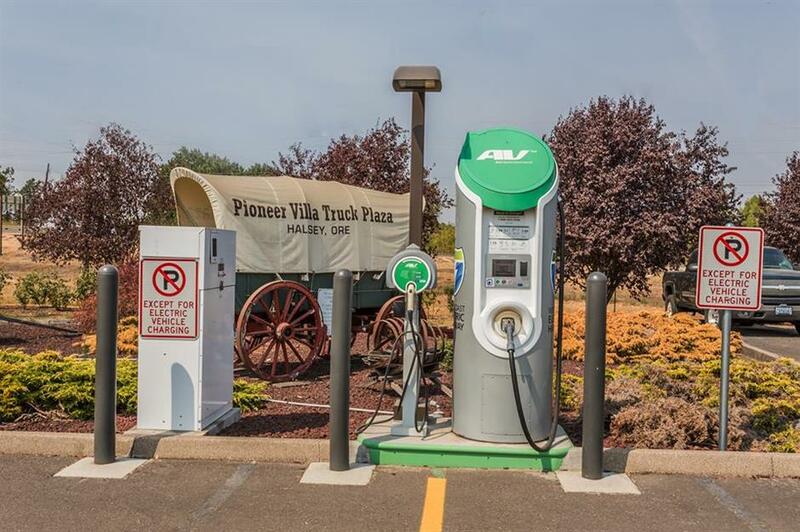 On your next trip up Highway 5 to Portland, get one last taste of country USA at Pioneer Villa Truck Plaza. Before behaving like a true millennial and indulging in all the artisan coffee and smashed avocado on gluten-free toast that the ultra-hip city has to offer, fill your stomach up with the good stuff: skillet-fried omelettes, succulent pork chops and corned beef on rye bread. You certainly won’t find any beef liver with grilled onions in hipster heaven! Truckers love this central Pennsylvanian haunt for its friendly service and way-too-generous portions. An entire melt section on the menu includes the tuna melt, munster melt (tender pork roast, savoury stuffing, steak fries and pepperjack cheese) and Rachel melt (turkey breast, coleslaw and swiss cheese on three slices of rye bread with a side of Thousand Island dressing). If you’re driving through Loretto on a Friday, be sure to take full advantage of Keystone’s all-you-can-eat buffet where you can get your hungry hands on mac and cheese, crab cakes, Hawaiian delight and more. As the smallest state in America, truck stops are a bit harder to come by in Rhode Island. In fact, there’s only one open 24 hours a day (off exit 5B on the I-95), but the Popeye’s Chicken there is clean, friendly and tasty when you’re hungry. To step away from fast food chain options, head to Cafe Tempo Coffee House further into Warwick for iced buns, jitterbug coffee and sensational pizza and calzones (pictured). Adjacent to Truck Street in Kimball, South Dakota, Ditty’s is a diner that appears relatively low-key, yet truckers will be delighted to stumble across it. There are pre-packed deli sandwiches and salads if you’re hungry and in a hurry, but we urge you to stay a while and try the gorgeously golden calamari sticks (pictured), Tuscan chicken flatbread pizza or shrimp lo mein. They also sell sushi but forgive us for being a little wary of raw fish at a truck stop. Home of the world famous Pops Barbeque, The Tennessean Truck Stop is a big-name flame joint. 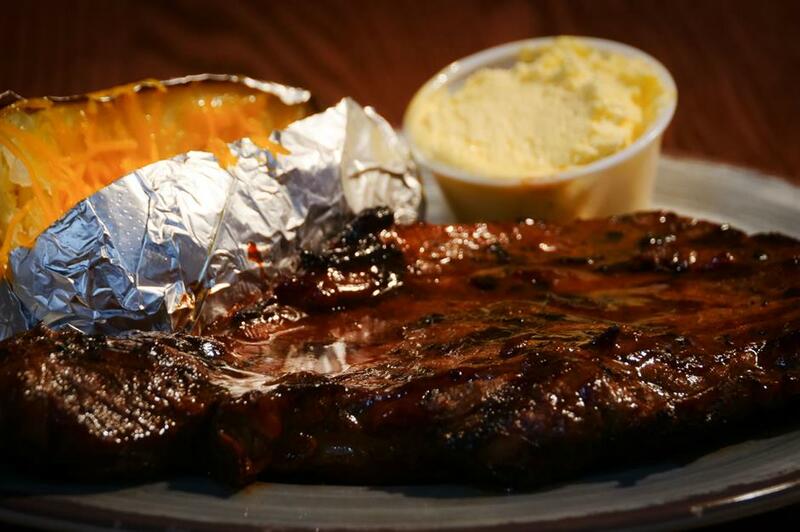 Their specials, referred to as Tennessean Treasures, are meaty, juicy and BBQ’d to perfection, the ribeye being among their most beloved dishes (pictured). If you don’t have time to sit and indulge, many of the firm favourites are pre-wrapped and kept warm for you to take back to your truck. While you’re here, stock up on some local gourmet delicacies including the famous peanut brittle, pecan praline honey butter, mustard eggs, sorghum molasses and of course, a whole country ham. Texas has more top-notch truck stop eateries than you can shake a stick at, so narrowing it down to just one seems unfair. 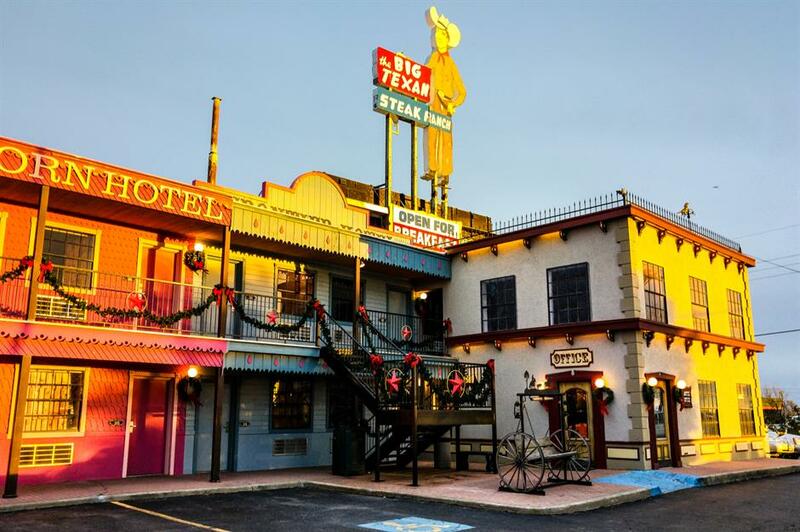 Nevertheless, we enjoy a challenge and that’s what The Big Texan – considered to be the top steakhouse in the Lone Star State – serves up with its 72 oz. steak competition (served with shrimp cocktail, baked potato, salad and a roll). Looking for something smaller? How about some Rocky Mountain oysters? Or maybe just stick with fried chicken or a rack of baby back ribs. Any way you cut it, you won’t go hungry. Wash it all down with ‘Real Texas’ beer from the award-winning on-site brewery; rattlesnake IPA anyone? Sleep it all off in the motel there or get a lift from the truck stop’s very own stretch limo service. Gotta love Texas. West Winds Truck Stop is a well-needed rest station in the foothills of Utah’s mountains. There are a number of low-calorie options on the menu, but that long drive ahead requires energy! Get sloppy with a bacon and mac and cheese burger or, if you’re fortunate enough to drive-by when their special boards are dressed up with Italian cuisine, get a kick out of one of their fiery pizzas (pictured). If you’re heading up 91 (or down, for that matter), swing into P&H Truck Stop off exit 17 in Well River for a good, hearty, stick-to-your-ribs meal. It’ll also give you a chance to brush up on your vocab before crossing over into French Canada. How about a Mack truck burger avec fromage Suisse, oignon, fritter et champignon (aka Swiss cheese, fried onions and mushrooms) or a good old, traditional Vermont favourite, the New England pot roast. We hear the maple pie (sirop d’erable du Vermont; pictured) is not to be missed. It may not be the most aesthetically pleasing, but Frank’s Trucking Center in Virginia has been a hotspot for hungry truckers and locals for the past 50 years. The best part? Breakfast, lunch and dinner at absolutely any time of the day! Chopped steak breakfast with two eggs, biscuits and grits at 5pm? No problem. How about a 2am pork BBQ dinner with fries, slaw and cornbread to fuel you through the early hours on the road? Coming right up. And, like any good truck stop, drivers can relax in the TV lounge, have a shower and weigh up their rig before getting back on the road. What else would you have for breakfast in Washington but a Sasquatch Skillet? Served up at Gee Cee’s Truck Stop off exit 57 on I-5, it’s a mouthful of ham, sausage, onions peppers and tomatoes served up with three scrambled eggs and hash browns, topped with cheddar cheese. For something a little less stodgy, they also serve the biggest, fattest salads you’ve ever seen (pictured), jam-packed with protein. Evidently, it’s ‘a place for the old school truck drivers’ and many return trip after trip. One of the best things about truck stops is the sheer array of items and services to be found in one location. 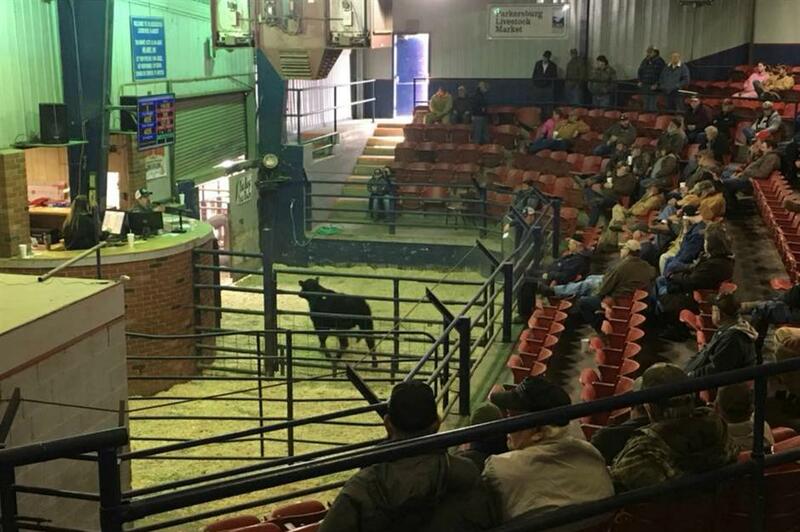 Among the most unique finds that we’ve come across has to be Liberty Truck Stop’s livestock auction (pictured). How many sheep do you think can you fit into a crew cab? If you’re looking for sustenance, however, you can’t go wrong with the hot open-faced meatloaf sandwich served up with mashed potatoes and gravy. Why not round off the meal with coconut pie and a chocolate milkshake? While customers of The Pine Cone Travel Plaza’s restaurant and bakery particularly love the chicken fried bacon and Walleyed pink with shrimp, they absolutely rave about the cream puffs. And the cinnamon rolls. And the turtle brownies. And the waffles-and-ice-cream (pictured). And the pumpkin cheesecake. And the frosted sugar cookies. And the caramel apples. You get the idea. You know what to do. Broken Wheel Truckstop may be way out in the boonies, but they’re doing their bit to combat the winter Wyoming cold. 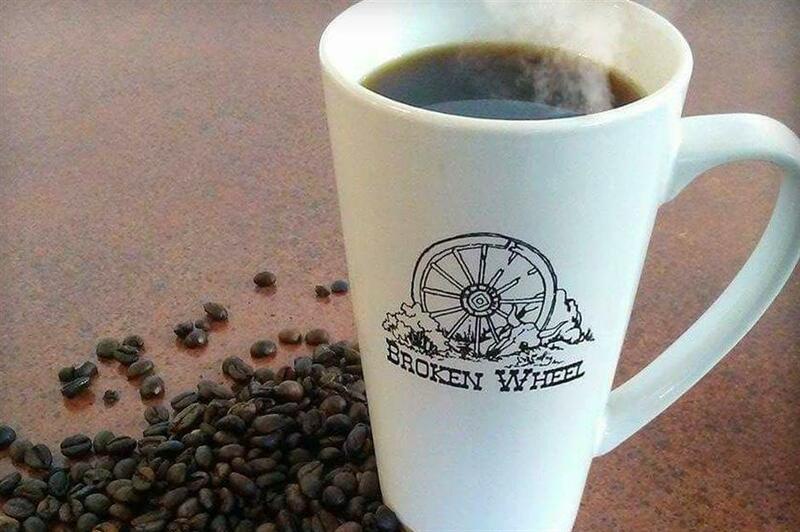 On Tuesdays, anyone who comes through their door is entitled to a free cup of coffee – no purchase necessary! While you’re inside, you may as well do more than fill your stomach with just coffee – their menu is full of greasy diner grub.